We have been Cleveland's leading Independent dealership for over 50 years. Every vehicle we sell has been safety inspected and serviced and is ready for immediate delivery. 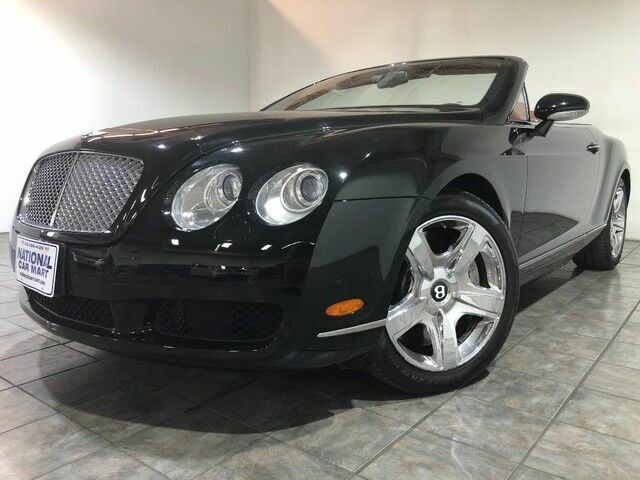 This 2008 Bentley Continental GTC comes with a CARFAX Buyback Guarantee, which means you can buy with certainty. Few vehicles can match the safety and comfort of this AWD Bentley Continental GTC 6.0L Twin-Turbo W12 AWD. With enhanced performance, refined interior and exceptional fuel efficiency, this AWD Bentley is in a class of its own. Intricately stitched leather and ergonomic design seats are among the details in which test drivers say that Bentley Continental GTC is in a league of its own Where do you need to go today? Just punch it into the Bentley Continental GTC on-board navigation system and hit the road. If you are interested in this vehicle, it is our suggestion that you contact us at your earliest convenience, as we do turn our inventory very quickly.